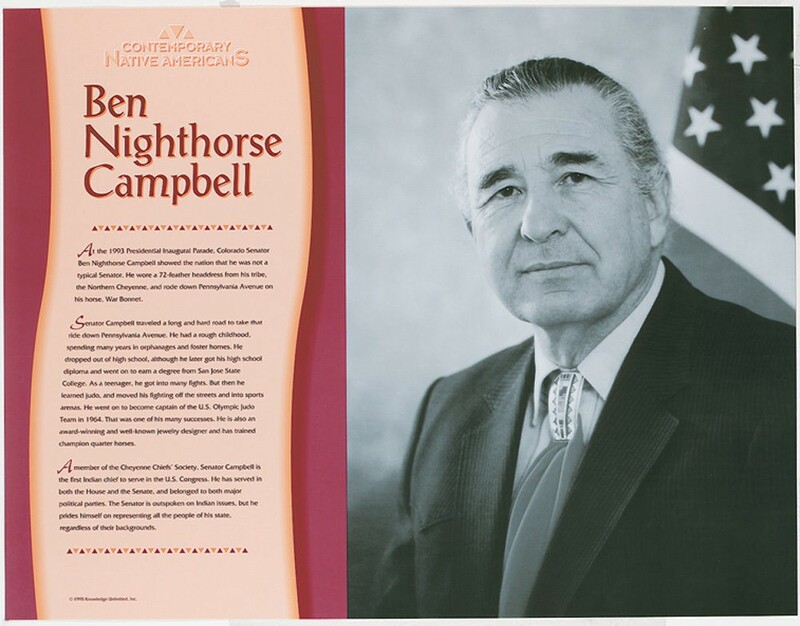 This educational poster of Native American politician Ben Whitehorse Campbell features a striking photo of him, as well as biographical text describing his life and accomplishments. 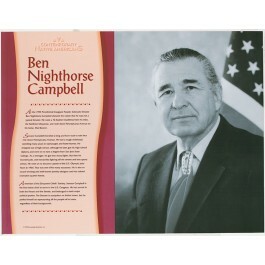 Ben Whitehorse Campbell was a U.S. senator from Colorado from 1993 to 2005. But his road to success was not an easy one. He grew up in orphanages and a series of foster homes. He served in both the House of Representatives and the Senate and was the first Indian chief to serve in the U.S. Congress.